Fits opening width: 42 inches. 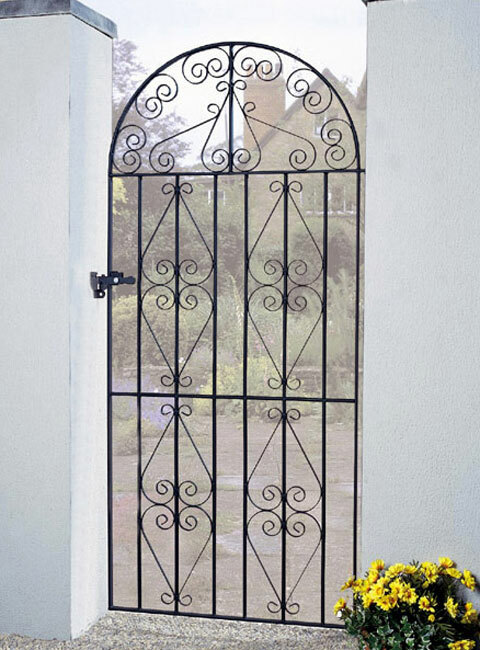 The width measurement refers to the actual opening (between posts, walls or brickwork) not the gate width; we have already allowed for hinges, etc. A universal latch for left/right hand opening, and fixed hinges. 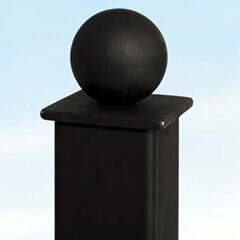 Suitable posts for this gate are shown below under ‘Recommended Accessories’. 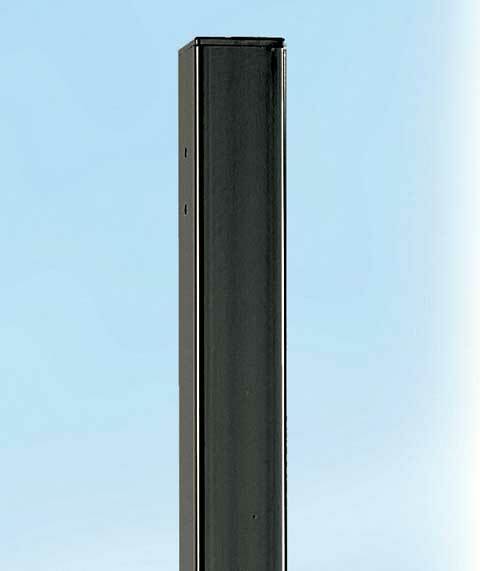 If you wish to hang the gate on steel posts, please allow for the width of the posts. 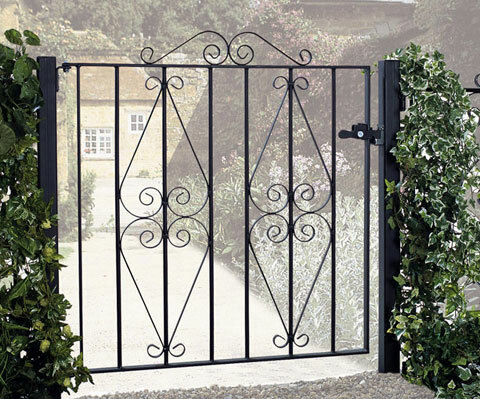 For example; a gate fitting a 30-inch opening with two 3-inch posts will fill a 36-inch gap. 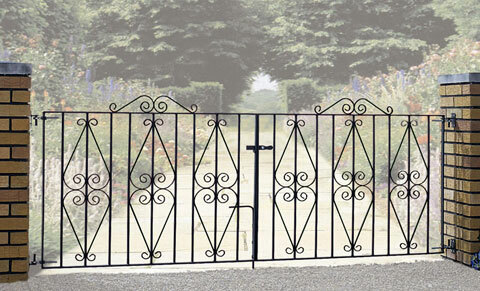 Due to the weight of the gate, care must be taken to ensure that the brickwork is strong enough to support the posts. 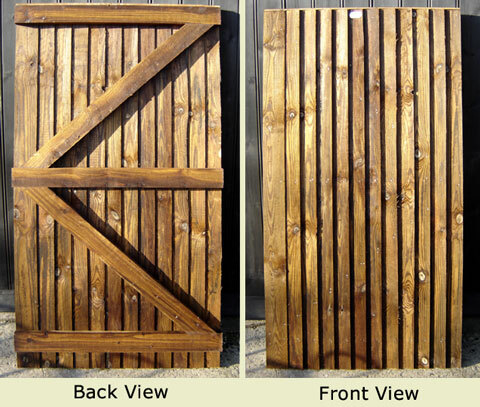 If you would like this gate made to measure please contact us with your requirements, including the size and quantity you require, and we will get back to you with a price.